. 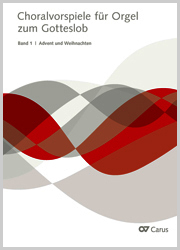 . . editions for the new German catholic songbook "Gotteslob"
Our series of chorale settings for organ continues with a volume of 35 compositions based on hymns which are used throughout the church year. The main feasts and themes represented in this collection include the celebration of Mass, the Holy Spirit, Trinity, Jesus Christ, Praise and Thanks, as well as trust and consolation. 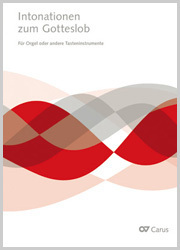 Distinguished composers from various European countries have contributed to the volume. Some works which are less well-known, from the Baroque to the 20th century, are also included. The collection contains several exciting new discoveries which will be useful in the liturgy of the Mass, in other services and in concerts. This third volume in the series follows on from the editions already published devoted to Christmas and Easter. 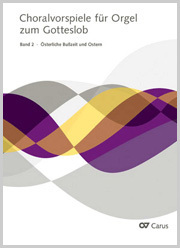 Der besondere Vorzug der Sammlung liegt aber in der Aufnahme vieler Lieder, zu denen es keine oder kaum Choralvorspiel-Literatur gibt. Dazu zählen neben dem NGL auch Lieder aus der 1. Hälfte des 20. Jh. (hier GL 360). 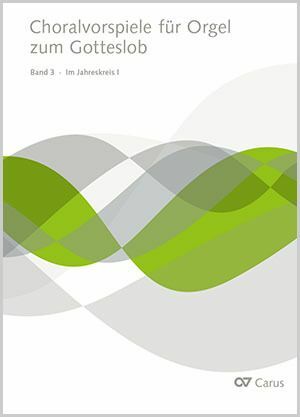 Das Prinzip sollte in Band 4 beibehalten werden.